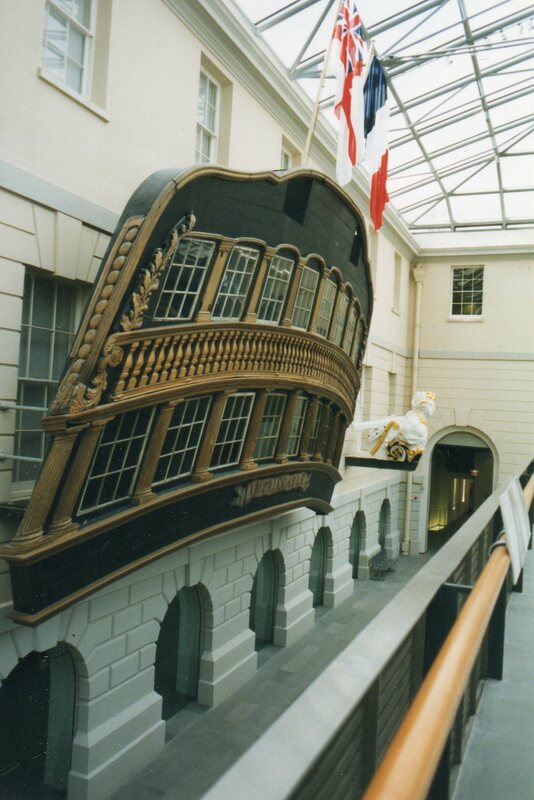 National Maritime Museum, London U.K. This is the decorative, carved wood rescued from the stern of a late eighteenth century French ship, captured by the English after the Battle of Trafalgar. 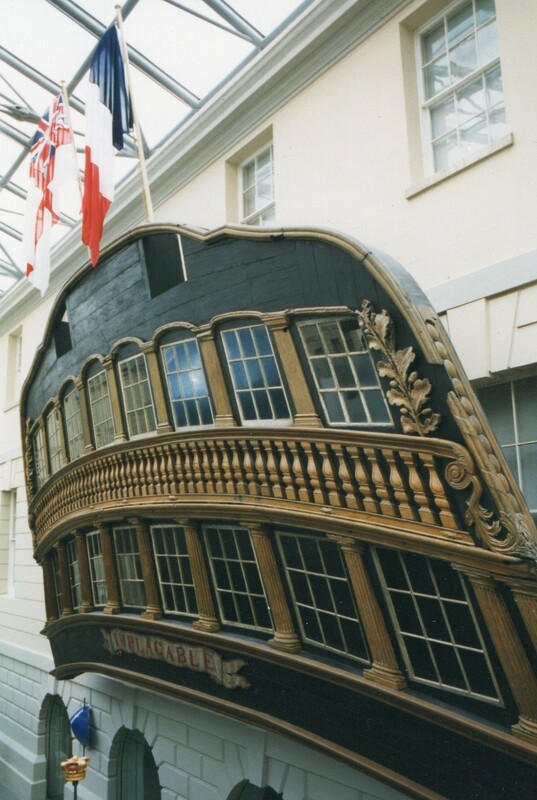 She was brought back to England and renamed HMS Implacable. The work involved identification of individual pieces, consolidation of friable material, surface cleaning and mounting/assembly. 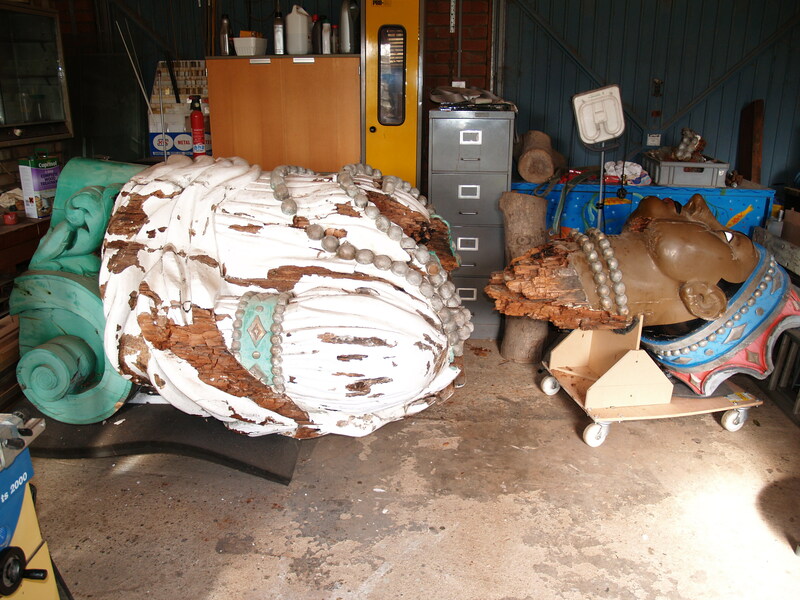 The original parts were only about 80% complete so the work also involved the carving/fabrication of replacement parts. 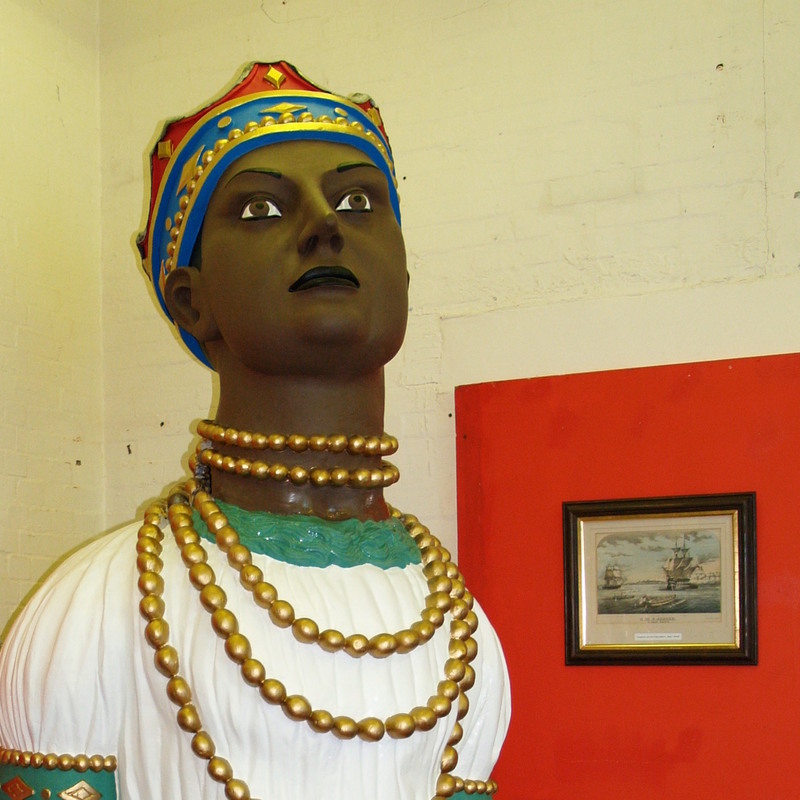 This figurehead had spent over 200 years fully exposed to the weather. It was in a very poor state and I regarded this as an object rescue project. Work included consolidation of friable timber, wood infill and painting. 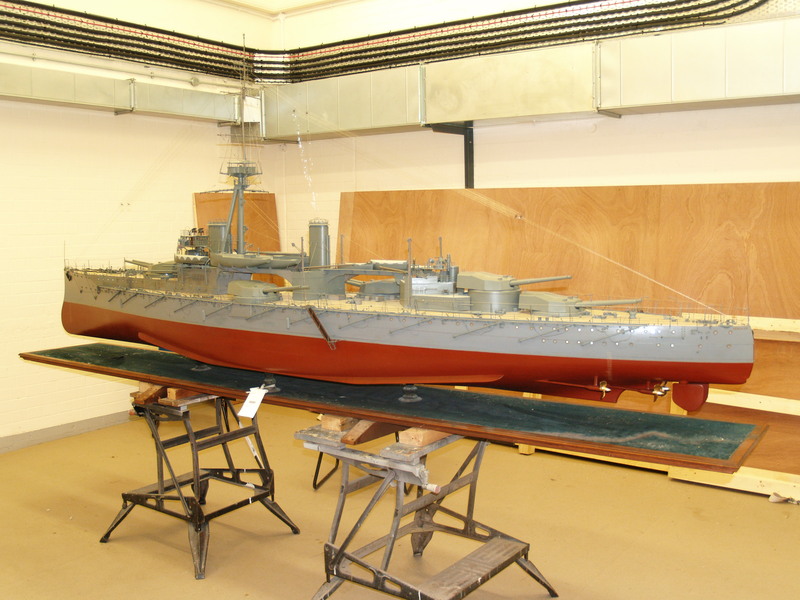 This very large builders model of the WW1 Dreadnought 'HMS Hercules' had been on display at the Imperial War Museum during WW2 when the museum was hit by a German bomb. 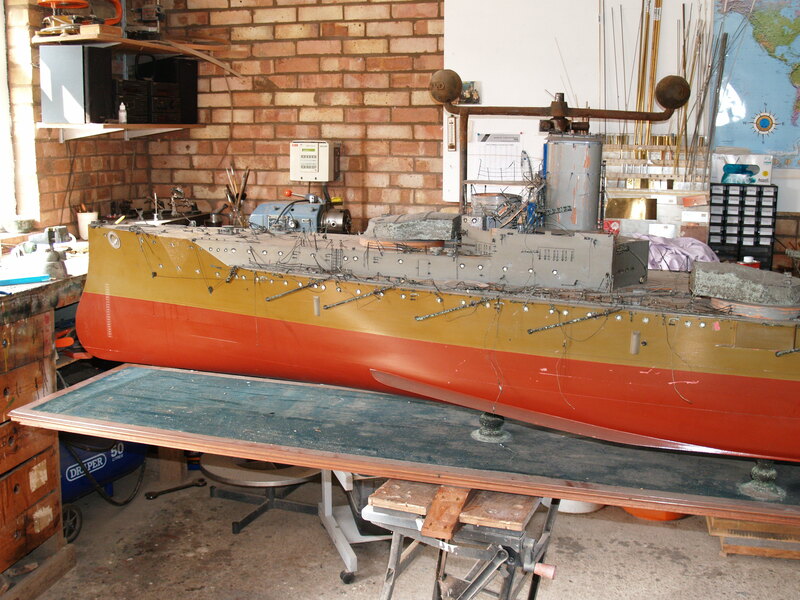 It suffered blast damage after which it was simply boxed up afterwards.When opening up this box it was clear that many parts were missing including all of the ships boats, anchors and propellers. 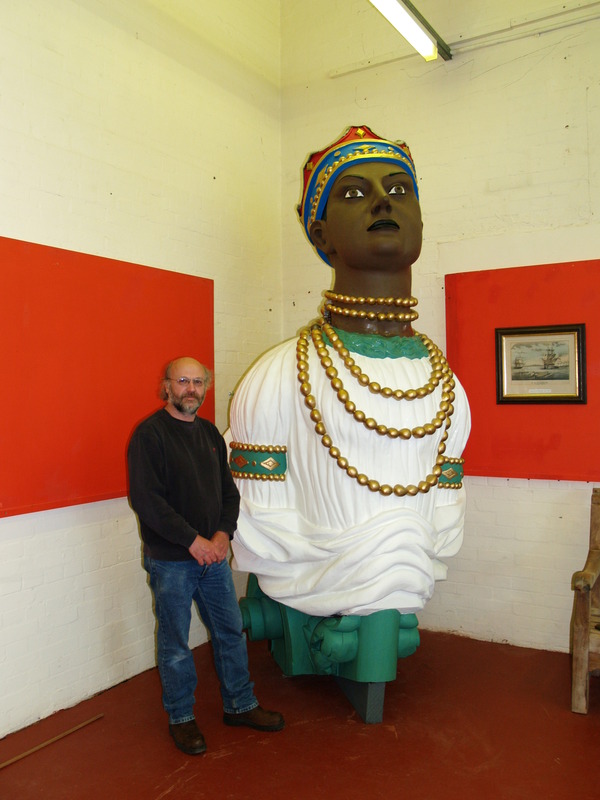 Work included fine metalwork and carving, conservation of painted surfaces and some repainting. 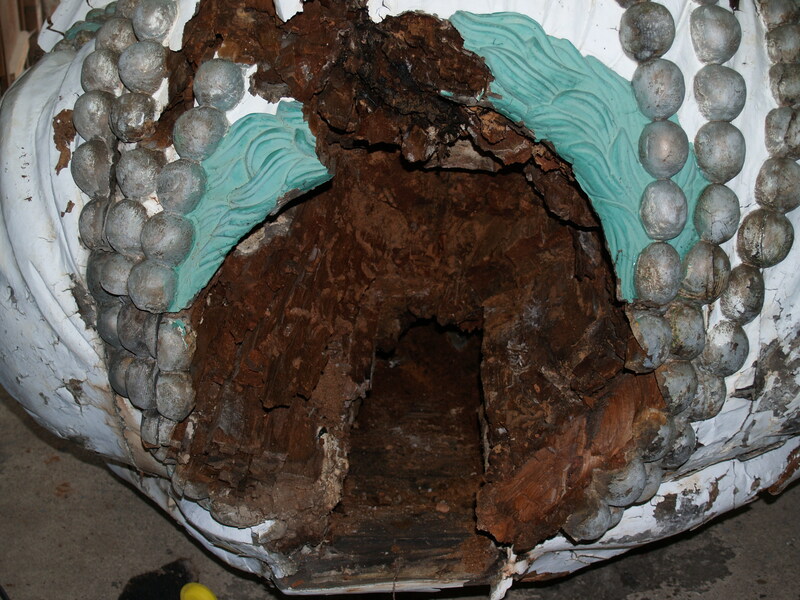 Work involved repairs to bone parts, rigging and surface cleaning. This bone model came to me in a dismantled state with many missing parts. Work included making new mast section and 3 new yards, countless rigging blocks and deadeyes, new brass gun barrels and bone gun carriages. It was possible to re-use original shrouds and mast stays but all other rigging is new. The Royal Greenjackets Museum, Salisbury. 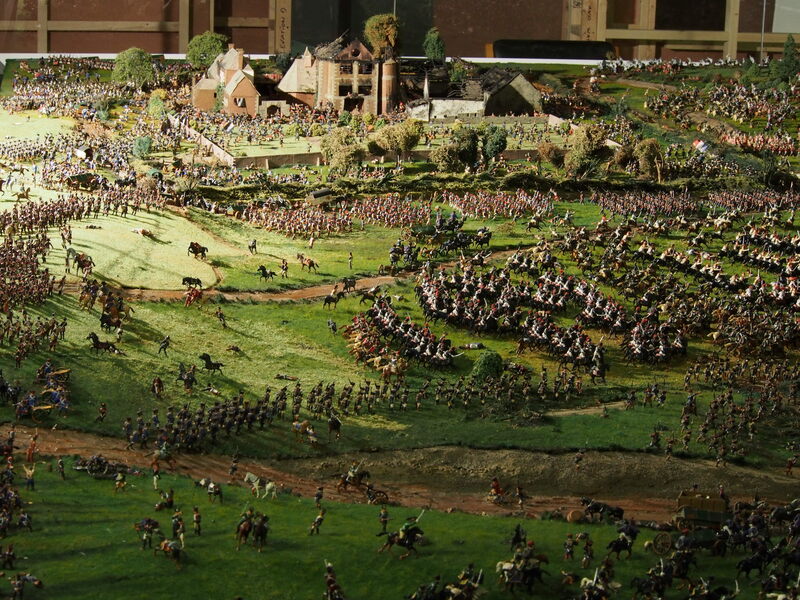 This is a large (7,320 mm x 3,482 mm) 1:72 scale topographical model depicting key actions from the Battle of Waterloo. In excess of 28,000 figures are from Airfix with many having been re-modelled. The landscape and buildings are wood/card fabrications. 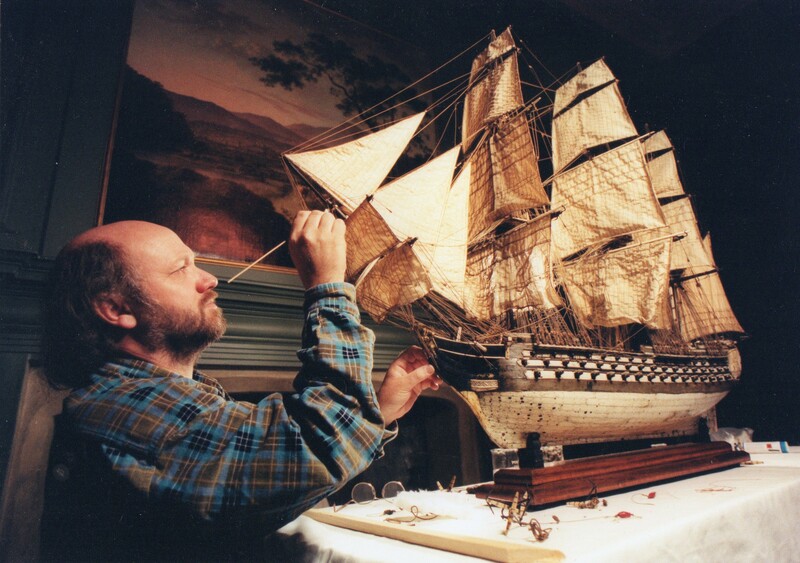 The diorama is constructed from a variety of materials including polypropylene figures (Airfix), softwood, hardboard, polystyrene, cardboard, felt, baize board, masking tape and Polyfilla. Adhesives used include PVA, an Evostik type polyurethane adhesive and a UHU type clear non hardening solvent based glue. It was built by a modelmaking company called Valhalla Models, clearly great artists with a wonderful eye for detail but not craftsmen and certainly by people with no understanding of the longevity and stability of materials. 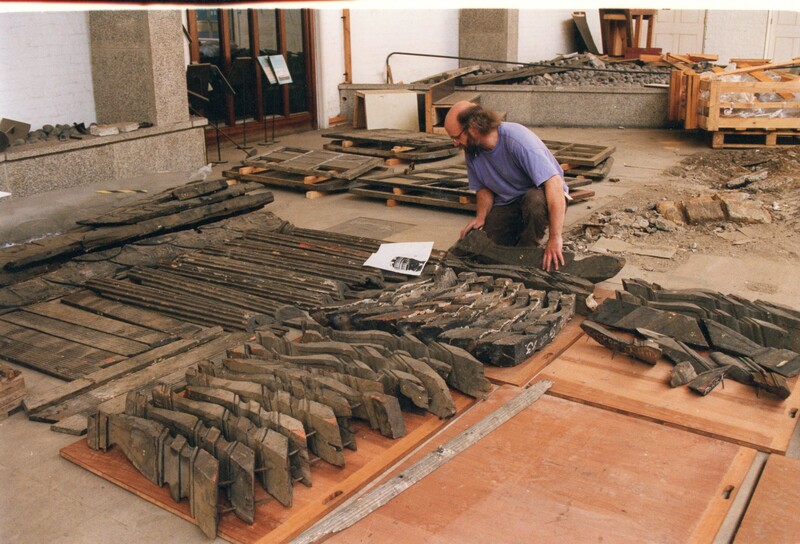 The installation in the museum was completed in 1984. From then until I removed it in Sept 2014 it was on open display. Upon first inspection the diorama was clearly very dusty, the whole surface was pale grey in appearance with quite a few figures that were loose due to the original adhesive breaking down. In addition to cleaning and repairing the model I was required to remove the diorama from site while the gallery was undergoing structural repairs, being internally refurbished and a new showcase for the diorama was being installed, the way out for the diorama was through a single doorway and down an external fire escape staircase. 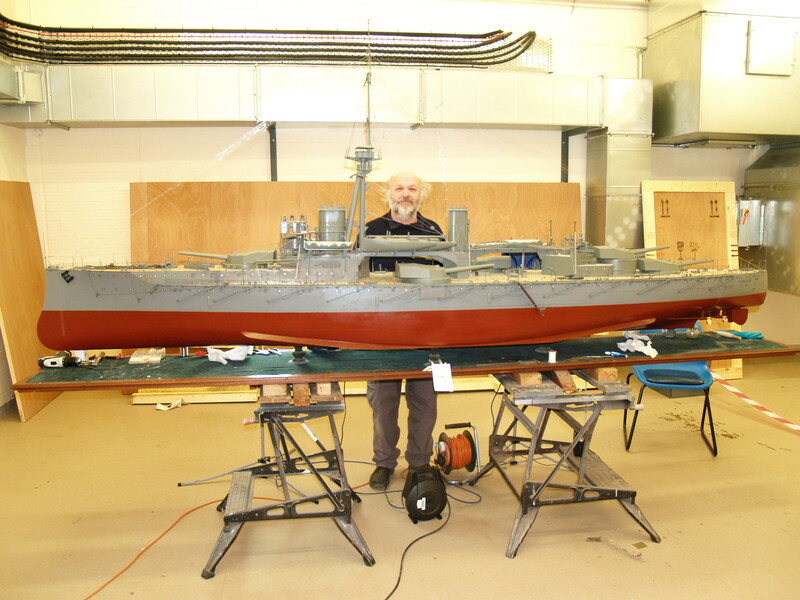 The surface of the model had been laid down when assembly took place in the museum. It was laid over a series of 16 frames (Softwood/polystyrene) that created the contours of the land. 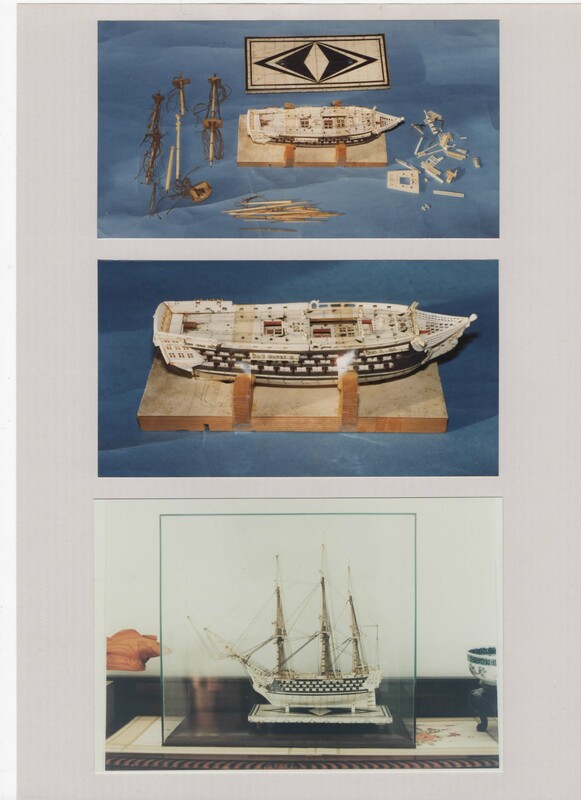 When dismantling the model there were no joins or seams on the surface so it had to be cut apart into 16 roughly equal parts between the frames, the way that it had been constructed left no alternative. Surface dust was removed from the textured landscape using low pressure compressed air to gently lift the dust above the surface of the model into a Nilfisk high filtration vacuum cleaner being held from the opposite side of the model. Figures and buildings have been cleaned using 2% non-ionic detergent in de-ionised water and loose figures have been re-located using HMG nitro-cellulose adhesive. There was also some retouching of the figures to do because paint had not adhered well to the polypropylene surface. 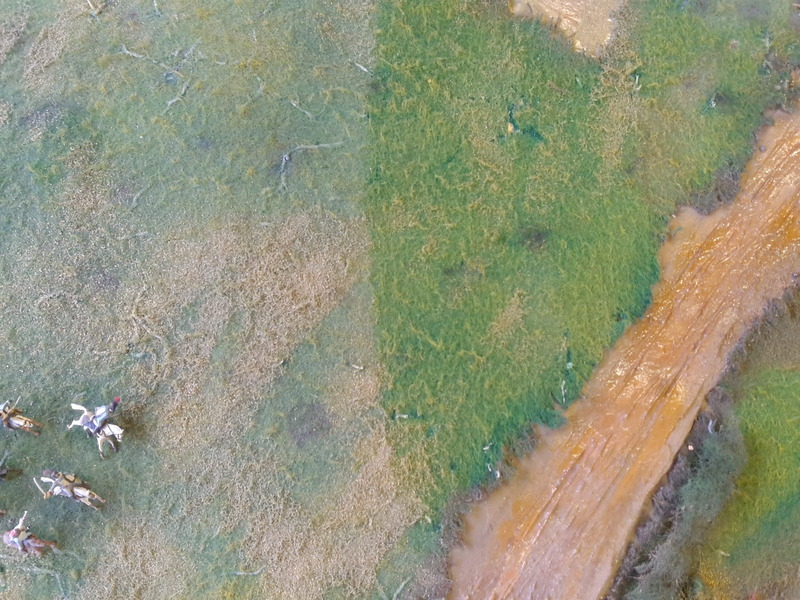 Following reassembly of the boards, model maker’s landscaping flock has been used without any adhesive to conceal the cuts between the boards (this is a material that had also been used in the original landscaping of the model).